From its origins in the minimization of integral functionals, the notion of variations has evolved greatly in connection with applications in optimization, equilibrium, and control. 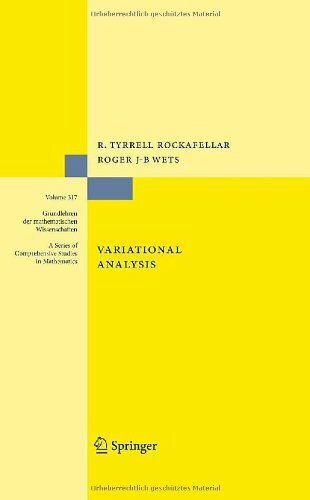 This book develops a unified framework and provides a detailed exposition of variational geometry and subdifferential calculus in their current forms beyond classical and convex analysis. Also covered are set-convergence, set-valued mappings, epi-convergence, duality, and normal integrands.